The great cannabis cash cow has not been mooing quite as loudly as government bean counters had anticipated throughout the region, even though Santa Barbara County leads the state in the number of cannabis cultivation permits. Tax revenues collected from cannabis cultivators over the last three months totaled nearly $1.4 million. That’s down from $1.8 million collected in the first three months. County administrator Dennis Bozanich attributed the drop to the state-mandated pesticide and herbicide testing requirements, which recently went into effect. Across California, Bozanich said, 14 percent of all tested cannabis samples failed to meet state standards. Cannabis prices have dropped about 10 percent in recent months, as well, due to oversupply. The good news, according to Bozanich, is that the number of county cannabis cultivators filing tax returns ​— ​or reporting no taxable income ​— ​increased substantially between the first and second quarters. In the first quarter, roughly two-thirds of all licensed cultivators failed to file. For the second quarter, roughly two-thirds complied with tax filing requirements. Should cannabis-related tax receipts continue at the current trend, the county should collect about $6 million by the end of the first year. That’s on the low end of initial estimates, which indicated revenues could range anywhere from $5 million to $25 million. These lower revenues are noteworthy considering how cannabis growers have sought to establish themselves in Santa Barbara County. According to recent numbers, Santa Barbara County growers account for 31 percent of all temporary licenses issued within the state and 61 percent of all provisional licenses. Should these operators ​— ​there are about 100 of them ​— ​make it to the finish line by securing what are known as “annual licenses,” Santa Barbara County will be home to the biggest legalized cannabis industry in California ​— ​and no other county comes close. Critics of the emerging industry have coalesced into a larger umbrella group funded in part by the wine industry ​— ​the Coalition for Responsible Cannabis Cultivation ​— ​and are stepping up efforts to keep the cannabis genie from expanding further out of the bottle. 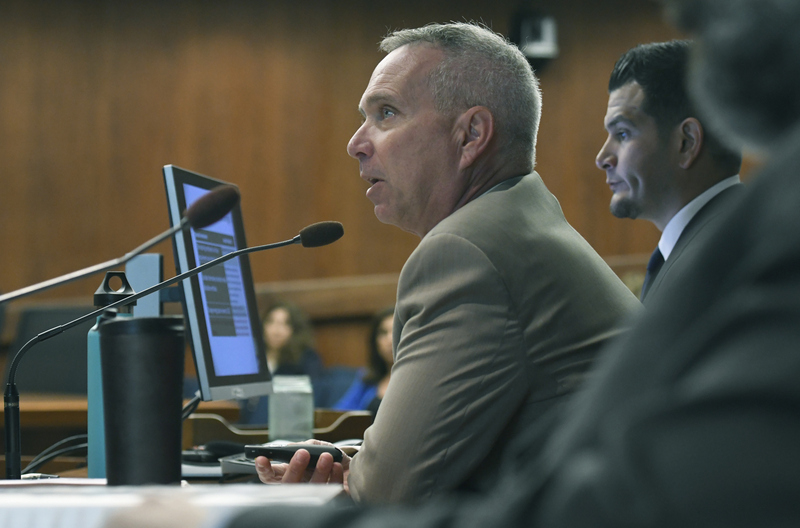 Last week, the county’s Planning Commission heard a heated earful from critics of the new and burgeoning industry, as well as its champions. Ultimately, the planning commissioners passed something that satisfied neither camp fully, but that would give the commissioners greater discretion and latitude in denying outright ​— ​or conditioning ​— ​cannabis on land zoned for smaller agricultural parcels that abut suburban development. Meanwhile, the City of Santa Barbara just issued building permits to two of the three dispensary operations that won the City Hall–sponsored dispensary competition last summer. The two were the Farmacy, located at 128 West Mission Street, and Coastal Dispensary, at 1019 Chapala. Of these, the Coastal enterprise has been fraught with complications. City inspectors twice issued stop-work orders on preconstruction within the building, located across the street from the downtown bus depot. City officials issued no fines but deemed those red tags ​— ​for work done beyond the scope of permitting ​— ​remedied with the issuance of the building permit. The principals involved with Coastal ​— ​Malante Hayworth and Julian Michalowski ​— ​were the focus of a recent City Council appeal, in which their history of being red-tagged at other properties was brought up. Coastal is also the subject of a lawsuit filed by a rival dispensary owner who contends that Coastal won the highest number of points of any of the competing dispensary applicants by fraudulent means. That litigation remains far from resolved.